A mini stair stepper can help you get in shape. A mini stair stepper is a great piece of exercise equipment for busy women. It doesn't take up much space in your home and you can get in a good workout while you watch television or wait for dinner to cook. Stepping burns calories, which makes it a good choice if you want to lose weight or keep the pounds from creeping on. Most sporting goods stores sell a variety of options so you can find the one that works best for you. 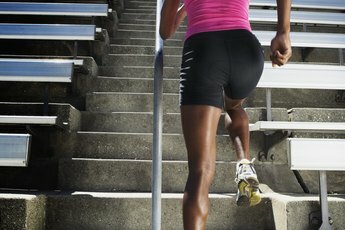 Your current body weight plays a role in how many calories you'll burn on a mini stair stepper. If you are heavier than a friend, you'll burn more calories in one hour and if you weigh less, your overall calorie burn will be lower. In general, a 150-pound woman burns nearly 500 calories after one hour of stepping on a mini stair stepper. 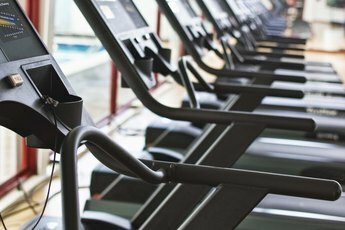 The speed at which you step factors into how many calories you'll burn. This is important to understand because overestimating your calorie expenditure could hinder weight-loss goals and may even cause weight gain. Slowing down toward the end of your workout or stepping slowly throughout lowers the number of calories you burn during a session. Staying at a consistently moderate pace is a good way to ensure your calorie burn is what you think it is. At this pace, you'll be slightly winded, but should be able to carry on a conversation. Interval training involves alternating between bouts of moderately paced exercise and vigorously paced ones. Going back and forth like this increases your overall calorie burn and works well on a mini stair stepper. Because intervals burn more calories, you'll be able to speed your results or reduce the total amount of time you spend on your mini stepper. Try stepping at your normal speed for three minutes, then go all out as fast as you can for one minute. Alternate between these speeds throughout your workout. Despite the calorie burning benefits of a mini stepper, if you don't watch what you eat, you might undo all of your hard work. Hitting the drive-through after a stepping session could result in taking in more calories than you just burned, something that isn't going to help you lose weight. Balance your mini stair stepper routine with a varied diet made up of foods from each of the food groups. This controls your calorie intake and ensures that you're getting enough nutrition to fuel your stepping sessions. 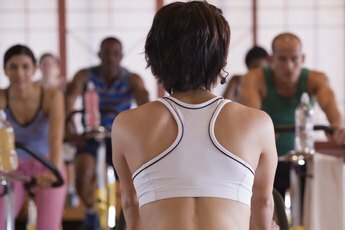 University of New Mexico: Calorie Burning: It's Time to Think "Outside the Box"